Why Ignoring a Maintenance Plan Can Ruin Your Warehouse Operations | McKee-Horrigan Inc.
It’s often said that those who fail to plan, plan to fail. This saying is something that every warehouse owner should abide by. Failing to establish a plan that can help you keep track of your facility’s operations can turn into a case of bad news down the road. That’s why it’s essential for you to establish a warehouse maintenance plan, so that you can avoid the chaos the comes with poor management. Staying on top of such a plan can reduce the costs and burdens that accompany a poorly maintained warehouse. Imagine hopping on a plane that had no emergency procedures in place. There were no safety pamphlets, no life jackets, and no demonstrations on what to do in the event of an emergency. Even if you don’t pay them too much attention, wouldn’t you at least feel a little skeptical about the safety of your flight? Likewise, how confident can you really feel if you have no way of knowing what’s happening in your warehouse, and how to fix it if things go awry? It’s unfortunate to say that many business owners have adopted this kind of thinking, where they think it’s okay to own an industrial-sized facility without much planning. And it’s only a matter of time until they face some serious issues. Those problems often involve situations that you wouldn’t want to put up with. One of the most dangerous and sometimes insidious consequences of poor maintenance is structural weakening. For example, a lack of a maintenance plan may lead you and your stuff to overlook important things such as the repair of a damaged roof, worn-out concrete, and floor replacements. Ignoring any of these tasks can lead to disaster, whether that’s in the form of an injury or mechanical damage, resulting in a considerable loss of time, money and a tarnished reputation. Having a warehouse maintenance plan set in place can prevent these problems, or at least make it easier to address them if they occur. It’s easy to think of your inventory as constant – as long as you don’t touch certain items, they’ll be fine. Of course, that’s not the reality. 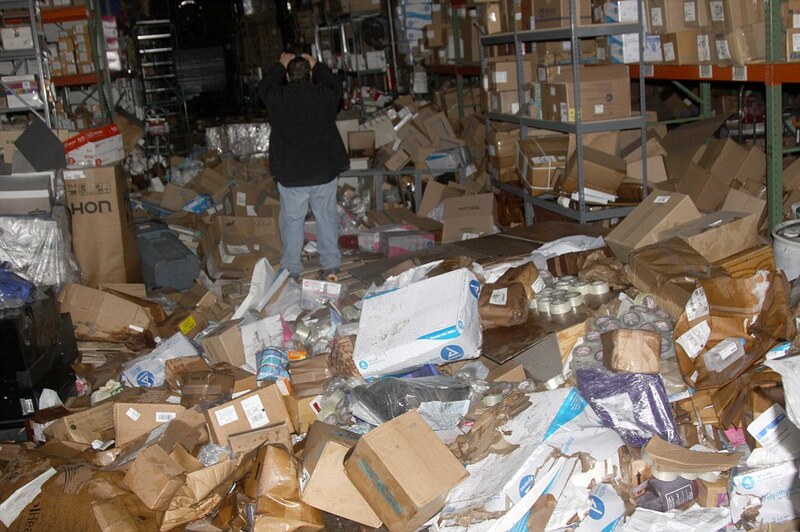 Like items in a grocery or retail store, the items in your inventory may very well have their own shelf lives, not to mention a vulnerability to damage from other warehouse elements. Imagine relying on a particular product, perhaps one you have to ship, and learning that it’s not suitable for deployment because it’s been damaged. Although this is something that can happen to even the most efficient warehouse, those without a well-established maintenance plan are at even greater risk. As a warehouse owner, there’s a good chance that you’re reliant on an arsenal of machinery. Some of these tools may be things that you and your staff overlook – that is, until they malfunction. If you’ve ever had equipment fail when you needed it the most, you’ll most likely understand how frustrating it can be. In many instances, it’s simply a matter of time and unforeseen occurrence. However, not having a maintenance plan can make such an event significantly worse. A document or outline that keeps track of your machinery, their current condition, and necessary repair/replacement dates can help you avoid the burdens of a major machine failure. Building any structure without a foundation is something that just about anyone would agree is foolish. But it’s important to see your warehouse maintenance plan as a secondary “foundation” for your facility. It functions as a guideline, so as to keep your facility functional and make your team ready to respond if one or more of your warehouse processes were to go down. Monitoring/Surveillance – One of the reasons why some people succumb to certain illnesses stems from a lack of self-awareness. Likewise, warehouse managers who fail to keep track of what’s taking place in their spaces are more likely to miss signs that may point out to a specific problem. Therefore, a maintenance plan should address when and how warehouse staff will monitor their facility. Scheduling/Repair Dates – Closely related to surveillance is the issue of scheduling. It’s important that you establish a routine when it comes to your warehouse so the items and areas that need regular attention, receive it. Budget – It goes without saying that warehouse maintenance costs money. But it is a necessary evil. Your maintenance plan should include some mention of a budget, so you and your management team can take care of repairs and necessary commercial renovations. Damage Control – No matter how much planning you put in place, there will be some events and occurrences which you can’t control. All you can do is respond to them in a proper and timely fashion. Your maintenance plan should have an “escape route” that highlights how you will handle a situation if it causes disruption within your facility. The size and scope of a maintenance plan differs from company to company, so there’s no need to adhere to a strict template (although looking at existing examples can certainly help). Also, the type of document is something that will vary, and what’s more important is that it’s legible, detailed, and yet clear enough for your staff to understand. By committing to have a warehouse maintenance plan in place now, you will spare yourself from the pitfalls of poor management. It’s important to see your warehouse not as a static object, but rather, a dynamic hub that needs regular attention. A well-detailed plan can help you keep track of the activity in your facility, helping you to ensure that it’s running efficiently. Are you looking for more advice on how to maintain your warehouse? Get in touch with us so we can help you out!